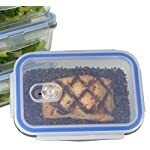 8 Piece Set Includes: 4 borosilicate glass food containers and 4 vented snap locking lids, 62 Oz. 9″ x 6.5″ x 3″, 28 Oz (3.5 Cups), 7.2″ x 5″ x 2.5″ 19 Oz. 6.5″ x 4.5″ x 2.5″, 11 Oz. 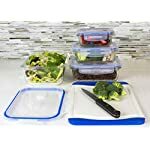 5.5′ x 4″ x 2″, easy for meal prepping, saves space, and travels easily Misc Home Glass Food Storage containers use snap lock lids that with silicone seals to ensure your meal prep food will last much longer than normal plastic food storage containers. These lids are easy to use and will stop leaking and spills, also the venting switch allows for easy and safe venting of hot foods. 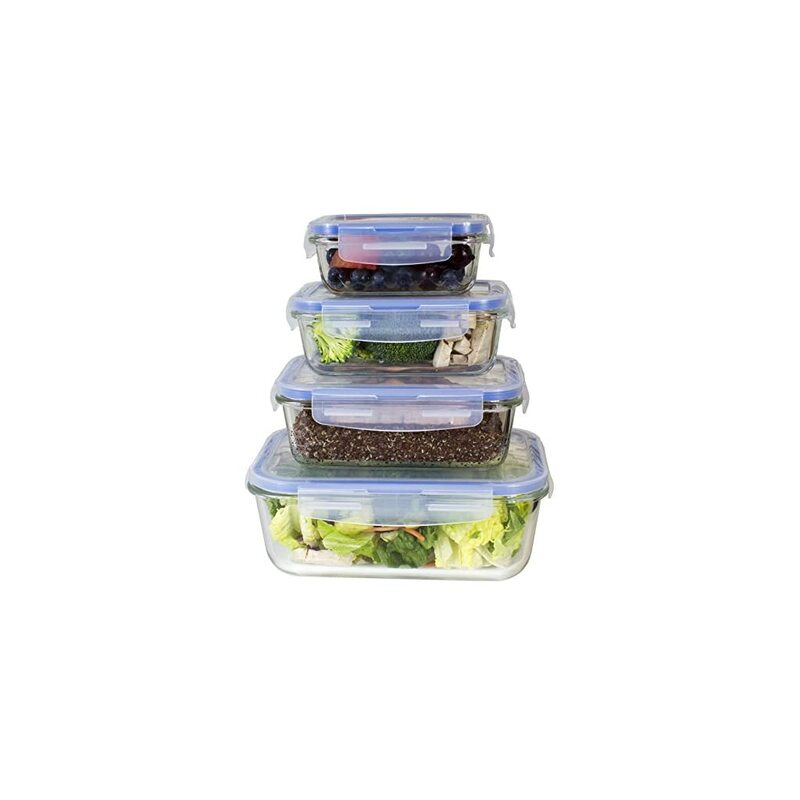 Our glass meal prep containers are made from borosilicate glass, much stronger than the tempered glass meal prep containers other brands sell. 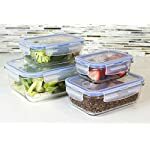 Pyrex containers are made from borosilicate glass because it is stronger and can hold up to temperature changes much better than cheaper glass food storage containers. 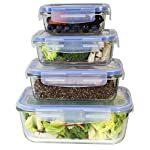 FDA Certified food grade safe and 100% Bpa Free meal prep containers. 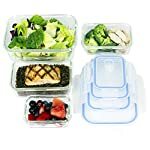 These glass portion control containers are easy to use and easy to take care of, microwave safe, freezer safe, dishwasher safe, and oven safe for over 500 degrees Fahrenheit. 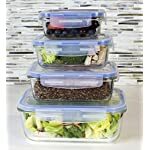 ONLY USE BOROSILICATE GLASS – Our glass portion control containers are made from borosilicate glass, much stronger than the tempered glass meal prep containers other brands sell. 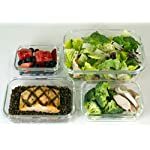 Pyrex containers are made from borosilicate glass because it is stronger and can hold up to temperature changes much better than cheaper glass food storage containers. 100% SATISFACTION GURANTEED & PERFECT GIFT – We guarantee your satisfaction or we will always go above and beyond to ensure you are happy with your customer experience with Misc Home Inc. Comes in full color packaging making it the perfect gift for anyone starting to do meal prepping or just in need of some glass food storage containers with locking lids.